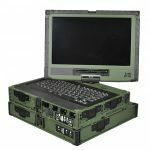 Several years ago, a world leading company in critical two-way wireless communications systems used by public safety and government organizations contracted Sealevel to design an ultra-reliable industrial computer to monitor and control remote broadcast sites nationwide. Sealevel responded with a solid-state system that included all the dense I/O required packaged in a compact 1U, rackmount enclosure. The customer was so satisfied with the operation and quality of over 1,500 units installed to date that they commissioned Sealevel to refresh the design and upgrade to a faster processor and more memory for compatibility with todays information assurance software, which is required for new installations. Sealevel designed a COM Express baseboard with all the required I/O into a rugged, 1U rackmount chassis. 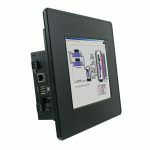 A 1.2GHz Core 2 Duo COM Express processor module mounts to the baseboard to add the high-speed portion of the system including processor, chipset, memory, and video. An internal battery and power detection circuit allows the unit to continue to operate when power loss is detected to effect an orderly power down and record the status of other components in the communications rack. Since the systems are not always in environmentally controlled buildings, all extended temperature parts were selected for the design in order to accommodate the wide temperature specification. Sealevels electrical design team was challenged to design a hardware architecture that would accommodate the large amount of I/O required in the small space available while offering guaranteed long-term availability and the ability to upgrade the processor and memory if needed. Sealevel chose the COM Express platform for the computing engine so that application-specific I/O requirements could be incorporated into a carrier baseboard. This approach segments the section of the design likely to change due to the constant improvements in processing technology so that any need to replace or upgrade the CPU section of the design can be easily accomplished with no redesign by simply replacing the COM Express processor board.